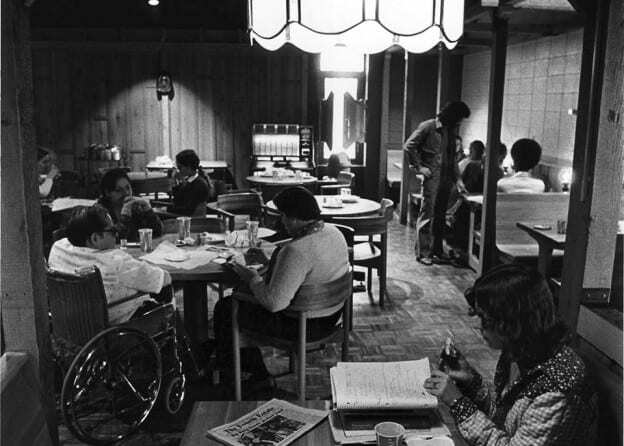 When the University Commons opened in the late 1970s, the Rathskeller was an instant hit. Students were immediately introduced to the science of risk/benefit analysis: Too much time shooting pool and lingering with friends promised immediate reward but might imperil your GPA. The Rathskeller survives today, sort of, as the Phoenix Club. This entry was posted in Phoenix Phactoid and tagged facts, phoenix club, rathskeller, trivia, union on August 25, 2015 by Christopher Sampson.